When I found out I was going to be Auntie Meagan, I was over-the-moon excited for my dear friends, Jon and Katie! One of the ideas I suggested was to have everyone bring a pack of diapers to the party. This is the only baby event where gifts aren’t typically given to the mommy and baby so why not start a diaper stockpile early on? Katie ran with the idea and held a prize raffle for all those that brought Baby Minch diapers. 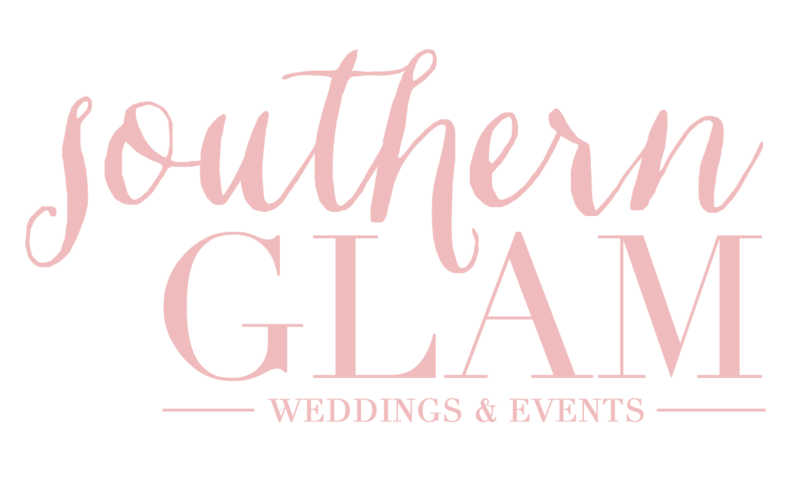 One of the coolest things about being an event planner is the secrets I’m trusted to keep. Katie and Jon secretly told me the gender of their baby two days before their Gender Reveal Party and I even kept the secret from Sean! They wanted me to put colored icing in only two of the cupcakes and fill the rest with white. The day of the party my kitchen was taken over by the lovely smell of four dozen classic yellow cupcakes baking in the oven. It was heavenly! I cored each cupcake with a cupcake plunger (an amazing little gadget!) and filled each cupcake with my famous buttercream recipe. I promise to share it soon! 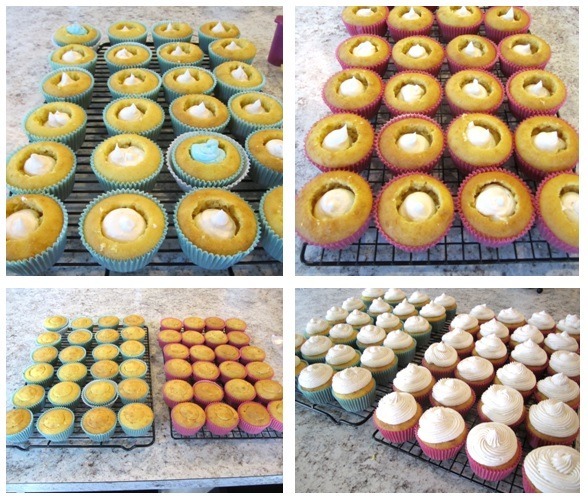 Once the cupcakes were iced, there was no way of telling which was filled with white or colored icing. How stinkin’ cute did the cupcakes turn out? 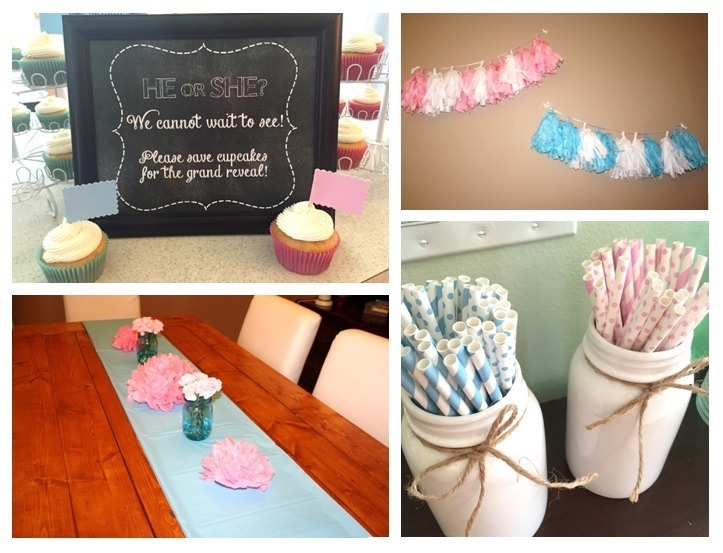 The party details turned out ah-dorable! 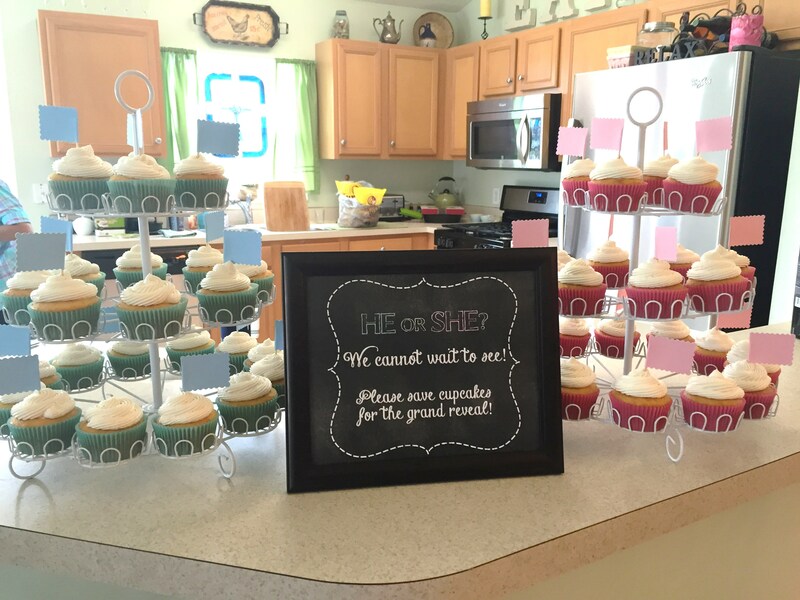 And what did the Grand Reveal cupcake tells us? Baseballs or Bows? 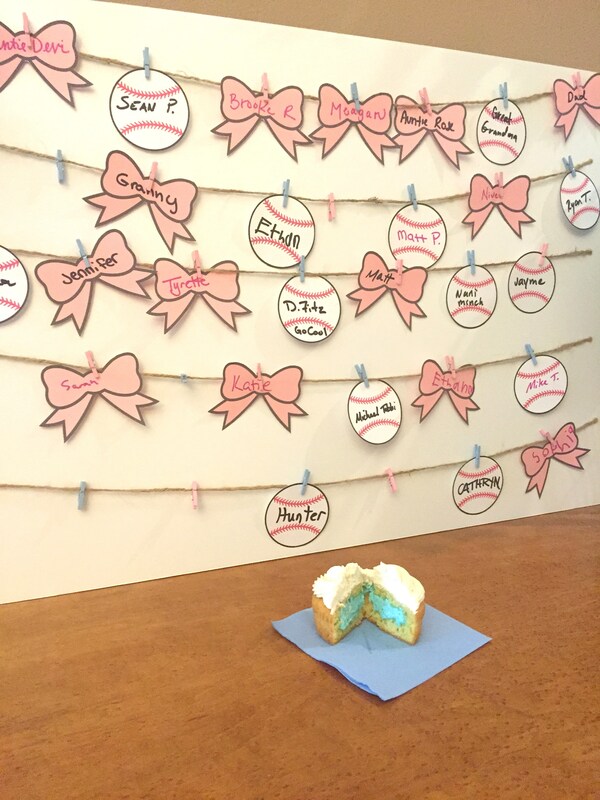 …Baby Minch is a BOY!!! I set up my point-and-shoot camera on the tripod just to record this special moment candidly for Jon and Katie. It’s precious – especially the moment of confusion when everyone bit into white icing! 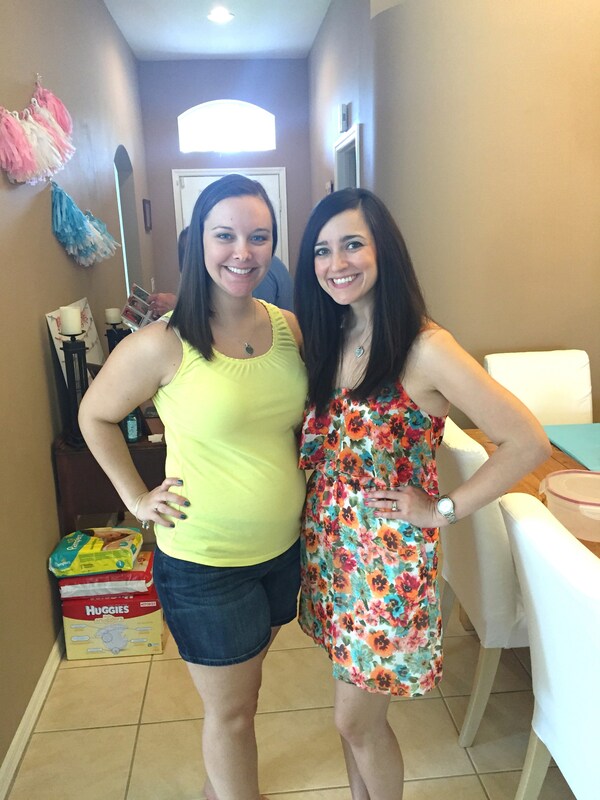 This Auntie is SUPER excited to start planning Katie’s baby shower this summer! YAY for Jon, Katie, and Baby Boy Minch!